About 10 years ago, I tried to enrol my two-year-old son in kōhanga reo. I was enthusiastic and excited to immerse him in te ao Māori. I didn’t want him to feel ashamed of his Māoritanga as I so often felt when I was growing up. I wanted great things for him, as all parents do, and I felt certain that a kōhanga reo could give him all of this and more. There were selfish reasons for wanting to send him to kōhanga, too. I wanted to learn Māori myself and I knew that the best place for me to get that start would be at the grassroots. Not from CDs or books or night courses, but down on the mat among the blocks and trucks surrounded by nannies and immersed in the everyday reo of life. I was committed. I couldn’t wait to get started. But our son wasn’t accepted. Despite there being space on the roll, we were told that the board had rejected our application. I was never given a reason why. I was simply left to wonder. Some people tried to help me see it from the kōhanga’s perspective. “They’re striving to raise tamariki as first language speakers of Māori,” a friend explained. That couldn’t happen in our case because there weren’t any fluent speakers in our home. While my son’s needs were important, I had to understand that the kōhanga had to weigh up the needs of all the tamariki. Having children who weren’t fully immersed in te reo Māori at home might compromise the overall aims and philosophy of the kōhanga. I was studying Māori development at university at the time, so I understood the theory. Words like decolonisation, language revitalisation and tino rangatiratanga swam around in my head. I tried very hard not to take it personally. But how could I not? I felt like I’d knocked on the door of te ao Māori and had it slammed in my face. I felt inadequate on so many levels. I had failed to become fluent in Māori before I had children and now my boy was being punished for it. I felt guilty and, worse still, embarrassed that I’d even tried. When people asked me why I wasn’t sending my boy to kōhanga after all, I lied and said I’d changed my mind — that the hours didn’t suit and that I couldn’t manage the transport. Meanwhile, my loving, supportive, Pākehā husband apologised. “It’s because of me,” he said. It takes a long time to get over stuff like this — just as I imagine it will take a long time for the two receptionists at Māori Television to recover from the loss of their jobs last week because of their lack of fluency in te reo Māori. Being rejected by your own people is tough. It can be a huge setback. Learning Māori isn’t just an intellectual exercise. It’s an emotional and spiritual one too. Often we come to the language with baggage going back generations — doubt, fear, shame, uncertainty. If you’re told you’re not good enough it can be devastating. It took me 10 years to regain the confidence to try and walk in te ao Māori again after we were turned away from kōhanga. It’s difficult to understand how these sorts of decisions raise the status of te reo Māori in Aotearoa. If anything, it’s diminishing. 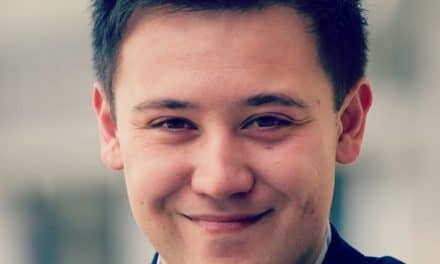 It sends a message to those of us with little or no reo that unless you can speak to a half-decent degree, there’s no place for us in the modern Māori world. It reinforces the fear many of us have, that without the reo, we are somehow less valid, less valued, less Māori. I don’t take issue with the aspirations, only the way in which we set out to achieve them. 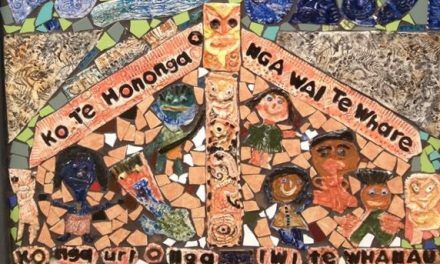 How can we claim to be promoting the revitalisation of this taonga, our language, if along the way, we are excluding, discriminating or discouraging the very people we are supposed to be serving — those without the reo who want to learn? A few years ago, despite my own hard feelings, I might have thought that the ends justified the means. That in the pursuit of high standards, hard decisions must be made. But last weekend, in Wellington, I went to a wānanga on Māori language revitalisation, which assured me that having high standards and visionary goals doesn’t require us to trample on anyone’s mana. The inaugural Kura Whakarauora in Wellington was all about language revitalisation in action. Although largely aimed at overcoming the challenges of Māori revitalisation in the professional sphere, there was plenty of learning on a personal level — and let me tell you, there is a place for you in te ao Māori, no matter what your language ability. First and foremost, I learned that you don’t need to feel ashamed if you don’t have the reo. 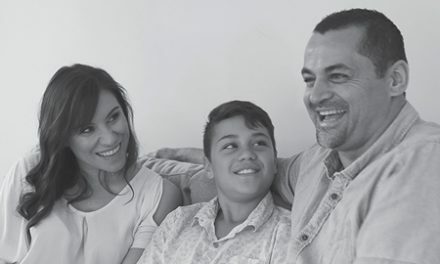 Stacey Morrison, who (together with her husband, Scotty) champions “Māori For Grown-Ups”, stressed that we need to be encouraging and supportive of one another, wherever we are on the journey. In other words, instead of denying access, closing doors and excluding people, we should be increasing access, opening doors, easing the way — so that people feel involved, valued, and part of something important and necessary. The second thing I learned is that it isn’t possible to put people in boxes based on what they look like. Be careful of the assumptions you make — there are some mean speakers of Māori out there and they don’t look anything like what you might expect. This may seem like a small or trivial thing, but to someone like me, who has always felt judged on my outward appearance, it is hugely liberating. Scotty Morrison’s workshop on the mechanics of teaching and learning was a revelation, too. His kōrero helped me to understand why I’ve struggled to progress as quickly as I would have liked this year. Last week I was able to stand up in front of my class and speak solely in Māori for a full 60 minutes, but do you think I could hold a single conversation in Māori that lasted longer than 60 seconds during that wānanga? Scotty explained that a lot of the time, teaching focuses on grammar even though it’s difficult — especially for beginners — to grasp the rules of language when taken out of context. But if we put learning into a practical context it becomes infinitely easier. If you want to teach a bunch of kids to play football, would you sit them down and have them read a book on the rules of the game, or would you give them a football and put them on the field? It’s the same with the language. Take learning out of the classroom and bring it into the home, into the reality of our daily lives. To paraphrase Voltaire: “Don’t let perfect be the enemy of good.” Give your tamariki whatever reo you have, even if it’s just basic words and sentences at first. Don’t be discouraged by your mistakes or by how slow you seem to be moving. That’s not to say we shouldn’t strive for excellence. No one said it was going to be easy. But let’s pass on the pride to our tamariki, not the shame. A lot of the time during the wānanga I felt like I was drowning. People debated high-level concepts in Māori, switched languages mid-flow and back again with quips that went way over my head. I laughed along with everyone anyway. Although I doubt my ability to ever attain such levels of fluency, I realise that there’s really no point comparing myself to others. After all, no one expects a newborn baby to be speaking fluently in its first year of life — nor should I expect to be fluent in Māori after only a year. In his session, Sean Bennett-Ogden reminded us that language is not the end game. It’s communication. Most of us are not learning Māori to become masters of linguistics. We’re learning so that we can make a connection with people. Not so we can show off our skills, but as a taonga to pass on to our children. It’s about whakawhanaungatanga (establishing relationships), belonging, identity. My son is 13 now and about to head off to college. My desire for him to know and embrace his Māoritanga is just as strong as it was when he was a preschooler, so last month we applied to send him to Hato Pāora College, a Māori boarding school in Feilding. At the end of our four-hour interview we were offered a place with open arms — genuine manaaki. I’m not sure if I’ll be brave enough to let him go just yet (that’s a story for another day) but what a different feeling it is to knock on the door and be welcomed in. It’s sad that I lost 10 years of my reo journey because of one setback, but that’s what can happen when barriers are put in front of us, jobs denied, our confidence knocked. It’s wrong. Don’t let anyone tell you that the little you have is not enough. As the whakatauki goes: Ahakoa he iti he pounamu. Though it is a little, it is a treasure. PreviousHow can the Mormons justify this? In 2010 The Human Rights Commission openly cricised The Crown for it’s lack of effort in the protection of Te Reo Maori as guaranteed by Te Tiriti o Waitangi. I sympathise with your journey Nadine, my daughter went to Kohanga Reo then mainstream primary school, now she is 12 and is in a Rumak Reo. I have Te Reo and her mum doesn’t and I have not made it a priority due to the misplaced belief that a good education is more important also, I felt I didn’t have the resources to teach her. If it can be of any assistance to you here is what I have gleaned. After a year at a private pakeha school where she almost lost her vibrancy as a Maori child, we enrolled her in a state primary across the road from us where they have a Kapahaka and a few brown faces but no Reo. I was eager to find out what this phenomenon called a good education really looked like so I hopped on the Board of Trustees. I began to realise that there was a less obvious world that operated behind the scenes that, was incredibly political, and not apparent to the lay-person. I have come to realise that the decolonising process is more than obtaining the Reo for the individual, although invariably that is where it must begin,; it is the re-establishment of an identity, a being and a knowing. This rediscovery is continuing within Maori Academia and Marae across the country and filters through Kohanga Reo and Kura Kaupapa as depositories. So, I understand the sanctum status of these institutions now. But it would seem this Archival Approach of The Maori Language Strategies has been without the desired success, as the take-up with Maori whanau is not great. Te Reo needs to be in the home but it is a Catch 22 situation. Sometimes decolonising means learning how to do without any other language but Maori for a week or two and if that is too radical just find a Maori speaking community to jump in and out of. If it is something we really believe in then it is something we can achieve in. I truly understand your korero. I decided when I was at high school to immerse myself in Te Ao Maori – I was 14 at the time. I came from a non Maori speaking whanau who were embarrassed and ashamed by the lack of te reo. I immersed myself in the mahi and all things beautiful about our amazing Maori world but when I started to have my own tamariki I waned from the path that was a big part of me. Fast forward 20 years and I am now a very proud Nanny of a 4 year old moko who is fluent in te reo Maori. 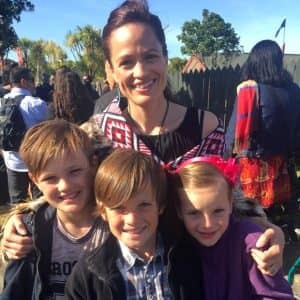 By her attending our local Kohanga since she was two – her enthusiasm and love for te ao Maori I am able to korero with her even though I have to go back to basics – I love it! As a side note the remainder of my whanau have become immersed in te ao Maori and the next generation of tamariki are taking up the challenge to learn more about our heritage and more importantly our beautiful language. Thank you Nadine for opening up this forum and sharing your thoughts and experiences. pono tena.pai to korero.shame on that kohanga and shame on those kohanga with all their rules and regulations that forget te mea nui.TE REO!! !.too much focus on grammar rather than incorparating te reo in our korero everyday,at home,work ,school, lives.one word within our sentence will lead to two leading to three ,nek minut …..full on te reo,and if not full on,hei aha….more than what was being said/understood previously.te patai is when will these comittee/kaumatua/hierachy of kohanga realise that some of their ways/whakaro is ‘wrong’.big ups to them in getting te reo into the world engari how many more like you are out there but havent said anything?lots ..i’ll bet.how many of those kaiako would do their mahi for free?now that is the true meaning of whakawhanungatanga.ahakoa he iti he pounamu.kia kaha kotiro me to whanau.. Your article is very uplifting, and inspiring because it is ‘real’. I’ve been fortunate to work in all educational age groups from kohanga to tertiary, and if there is one thing that has made a lasting impression, is that the best learner is a willing one. I’m sorry your experience back then delayed your family’s learning opportunity, but I’m glad that ‘spark’ has not been extinguished, and your light can start to glow. One day it will be so bright, others will want that same brightness in their lives. You’re an amazing woman, who in spite of opposition is achieving miracles. I’m grateful that you shared this with us! You mentioned that you knocked on the door to Te Ao Maori.. While I understand your reference, I hope you know you are already part of Te Ao Maori, by heritage. As are your husband and children through you. No one else can take that right from you, except you… You make your tupuna proud with your perseverance. Keep moving towards your dream, and take everyone who wants to travel it with you, along that path. Kia kaha tonu! Kiaora to you and your whanau Nadine. So proud of your journey. Everything you have said is true… I know there are our own people who are real arrogant downers. My daughter studying for her Post Grad Teaching Degree was told that she was not a REAL MAORI because she could speak Maori… this from the son of a prominent educator… RIGHT (what a lot of rubbish). She has in her brain and bones the aroha, manaaki and wairua of a Maori. 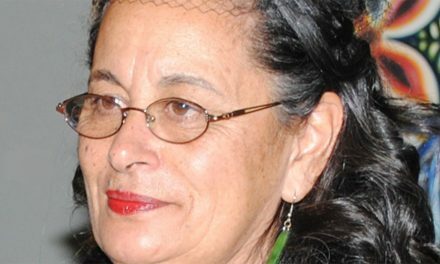 She has the desire and the ‘respect’ handed to her by generations of Maori (not READ), just our TUPUNA. Shame on that ‘koretake’ to accuse her, shame shame shame. She went to Ohonga and can understand basic Te Reo Maori and puts 150% of what she knows into teaching tamariki… She would never put anyone down and call them ‘NOT REAL MAORI’ because she’s too Maori for that… Those whakatauki that our ancestors carried down for us are the real ‘conversations’ we should remember along with the vocab, the grammar and everything else. The “He aha te mea nui o te ao? Maku e kii atu, he tangata, he tangata, he tangata”. You are on to it. My aroha to you in your journey, along with your whanau. Yes its acts both ways Nadine. There are Maori families who wait for ages to get their tamariki into kohanga. Its quite political in some kohanga. Panic horror .. the number of Māori speakers is declining! However within our plan to grow the reo we will actively discourage those who want to learn by turning them away because they don’t have the reo. I don’t have to say anymore to see how wrong this picture looks. I personally want to give a nod to the bi-lingual units around the country who work so hard to give tamariki access to te reo, a strong sense of pride and knowledge around their ancestry and identity within this country. Those who do it well have their tamariki poached by the KKM’s. Good bi-lingual units lay a safe and strong bridging path for those tamariki and parents to transition. And we NEED these types of learning avenues and options. Once again Nadine .. you have reflected a story experienced by many … our people need to know how damaging certain actions can have on a persons wairua and the future support for te reo Māori initiatives in future. Ka wani kē koe. Thank you for your comments and for taking the time to explain some of the challenges that our kohanga face. It’s important that people understand the complexities of the situation – I know its not straightforward. And every kohanga around the motu is managing a unique set of challenges. I was hurt by the rejection personally (as you say, it’s our kids’ birthright, isn’t it? ), but what hurt more was the way in which the process was managed. No one explained to me why we weren’t offered a place or gave us an opportunity address their areas of concerns. In fact, no one contacted me after the tono hui at all. In the end it was left to one of the nannies to tell me, very reluctantly, over the phone. No one would meet with anyone kanohi ki te kanohi, I guess because it would have been a difficult conversation. This is the part that felt very takahi te mana – if we lack integrity we undermine the whole kaupapa. Ngā mihi mo ou whakaaro me tō tino tautoko hoki. Thank you for your sharing. As someone returning to Aotearoa after many years away my desire to learn my language is strong. The challenge is one I know I can overcome thanks to the wonderful example set by my older sister who had gone from knowing no reo to now teaching at a Kura Kaupapa within a relatively short space of time. That signals hope for me and my children. If there is one thing I’ve learnt in my lifetime it would be nothing in this world is perfect. And when you place perfection over people nobody wins. In fact the perfection you seek will ultimately be lost. So true! Strong role models help us overcome the self doubt and fear of failure – so often responsible for holding us back. Interesting how spending time overseas magnifies the importance of our own language.